UCMP MYSTERY FOSSIL #3 is . . .
No, it's not a hubcap, button, roulette wheel or some primitive starfish relative. 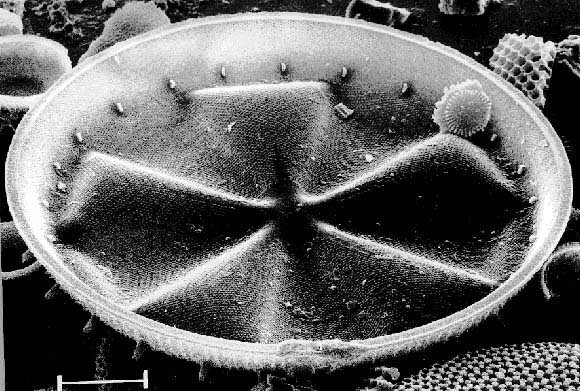 Actinoptychus is a single-celled photosynthesizer known as a diatom. You can learn more about diatoms by clicking here.